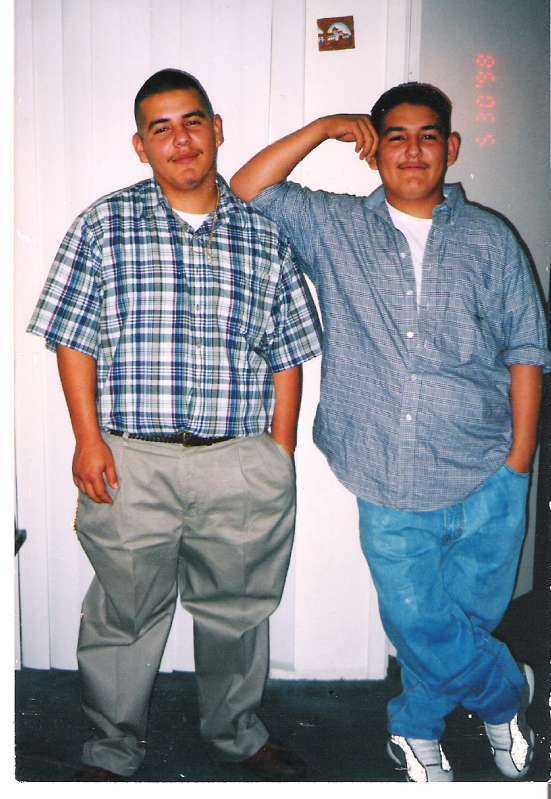 Adrian Aguirre & Mikey Aguirre, my angel sons, were murdered on 06-06-98. Mikey was 16 yrs old born 02-22-82 and Adrian was 20 yrs old born on 05-02-78. Life has never ever been the same since that day. They have been gone for 15 years from our lives and still feels like it happened yesterday at times. Adrian was an organ donor and our loss and tragedy made Adrian's organs a blessing to keep loved ones living longer with their familes. We still keep in touch with the heart recipient. There are 4 people in prison that were caught for their murders. A male is on death row, another male has a life sentence and the 2 women received 75 years each. I will be meeting for the first time with the inmate in October that received a life sentence. The meeting with the death row inmate has become an impossibilty because his attorney will not communicate with me or the Crime Victims Services for the agreement to visit the death row inmate. I will also meet the female inmates at a later date after meeting with the life sentence inmate. I feel this is a part I have to do on my owm for myself on behalf of my sons, Adrian and Mikey. In the photo, Adrian is on the left and Mikey is on the right. My angel sons for eternity!!! Healgrief has a memorial to share with you. https://healgrief.org/adrian-mikey-aguirre-661998/ We invite you to express condolences, share special memories and photos and light virtual candles to honor and celebrate the life of our loved one. We also invite you to share this with others who may want to be notified as well. You may do so by sharing the link or by clicking the “Share this Memorial” button from within the memorial itself.